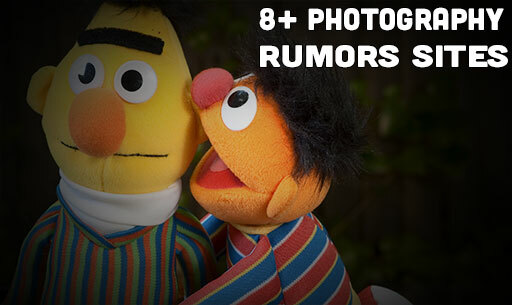 As with anything trendy, rumors are a big part of the photography industry. And as with anything that is a big part of anything nowadays, there are photography rumors sites for just about everything and anything in the world of photography. Those sites share gear development news, industry statistics, brand specific deals and most importantly insider’s information. While some rumors fade away, a lot of them turn out to have a solid base and become main stream news once formally released. If you want to know the future before it happens (at the risk of being totally wrong), here are the main sites that cover photography rumors. What? Canon Rumors covers everything Canon: new gear, reviews, deals and rebates, Firmware hacks, Canon company status and more. CR has a prolific forum [http://www.canonrumors.com/forum/] that is fuzzing with Canon gear conversation. Recent interesting rumor: Sigma to Introduce a 24mm f/1.4 DG HSM Art Lens Shortly? What? Nikon rumors covers, well, Nikon related stuff. new gear, reviews, deals and rebates, Canon company status and more. They also host a sub site about Leica rumors. What? Sony Alpha Rumors covers. Care to guess? They cover Sony related news, deals, rumors and reviews. No forum. Recent interesting rumor: First images of the new DSC-QX10 and DSC-QX100 lens-cameras! What? Lighting rumors is a bit of a strange member of the rumors sites family, instead of being oriented towards a specific brand they are covering rumors related to lighting equipment. What? coming from the same house as Fuji rumors, 4/3 rumors and Sony alpha rumors, the structure of the site is quite similar, Only this time it is mirrorless centric. Expect Panasonic GX, Olympus OM and the likes. Recent interesting rumor: New NEX-5T and new 16-70mm E-mount lens coming soon. What? coming from the same house as Fuji rumors, Mirrorless rumors and Sony alpha rumors, the structure of the site is quite similar, Only this time it is 4/3 centric. Expect Sony Nex, Olympus PEN, Ricoh GR, Samsung NX and the likes. Recent interesting rumor: High End OMD E-M1 has “modified” E-M5 sensor without Anti Aliasing filter. What? PR hosts rumors that relate to the entire photography industry. Who? Judging by the site structure and linking, it is probably the same guys/girls who are running the formerly mentioned Nikon Rumors. What? I’ll let you guess this one out. DIYPhotography – yes, this very blog. I agree with mike, I am also regular reader of The New Camera Website, you should add it to your list…..